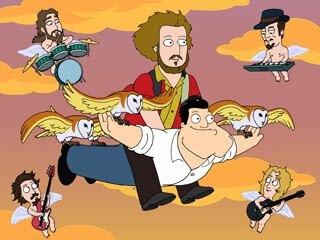 Yes, we will probably always use that photo of My Morning Jacket from American Dad ever single time we write about the band. But then again, My Morning Jacket fans will probably always expect to see good news when they see that image, and, yes, there's certainly some good news in this post. Tour dates for the band have been announced, and it includes a December 14 show at Madison Square Garden in New York City. The full schedule is below.